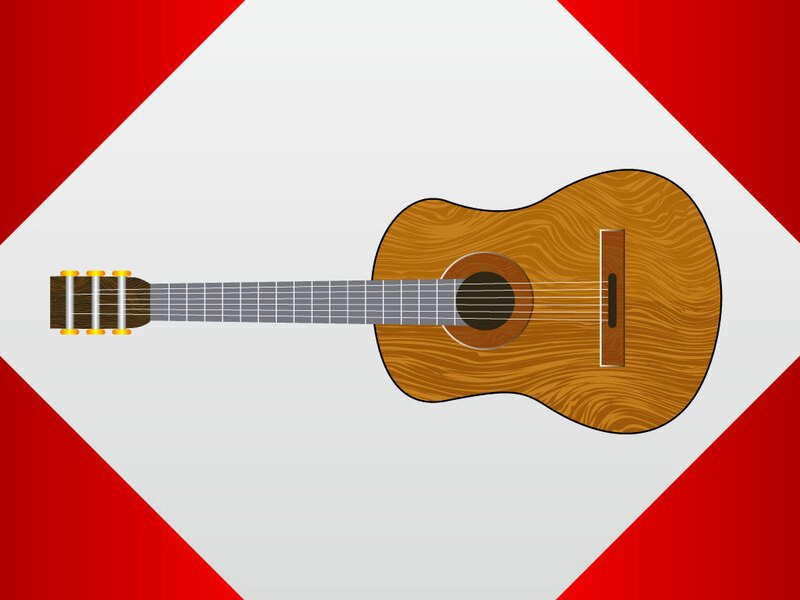 Musical instrument vector graphic of a classical style acoustic guitar rendered in an art style that lies somewhere between semi-realistic and modern cartoon. Features great details like wood grain, raised bevels, full fretboard and shiny metal tuners. Free download for your guitar and music focused designs. Tags: Fretboard, Guitar Vector, Guitarist, Instrument, Music, Musical, Sound.